A recent pay hike won by Toronto’s firefighters is almost double inflation and ignores the City’s arguments that it simply can’t afford it. The generous pay increase recently handed over to Toronto’s fire department is nearly double inflation and comes just as other agencies across the city are either cutting back on staff or benefits. The City, which said it couldn’t afford such a pay hike without further cutting back on other services or hiking taxes, watched as its arguments were largely ignored. This is no way to run a city. Let’s start with the headline number. Toronto’s more than 3,000-strong firefighter workforce was recently handed a 14-percent pay increase over five years, retroactive to 2010. When broken down by year, firefighters are receiving a pay increase that is significantly above inflation, both experienced and expected. In 2010, for example, firefighters will receive a 3.19% bump in wages, yet headline inflation for that year came in at just 1.8%. In 2011, they’ll get a similar bump, yet inflation came in at just 2.9%. And last year, firefighters received a 3% pay raise, yet inflation was just 1.5%. In 2013 they’ll receive a 2.9% pay raise, followed by another 2% hike in 2014. Yet inflation over those two years, according to the Bank of Canada, will only by 1.1% and 1.7%, respectively. Taken together, inflation over the 5 years of the agreement is expected to add up to 9%, yet the firefighters’ wages will have increased by more than 14%. In defending the pay hike for firefighters, the arbitrators said the city’s police force was handed a similar increase in its last negotiations with the City, and because the two agencies’ wages typically move in tandem, it was only fair to offer a similar deal to the firefighters. That’s the way it has always been, they argued. The arbitrators – and the firefighters – also didn’t believe the City when it argued that it simply couldn’t afford the pay hike without having to either cut services or raise taxes. 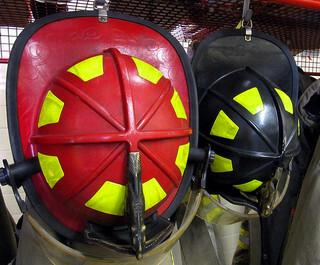 All told, the City argued that the pay increase will cost it an additional $45 million – an increase that won’t be offset by other concessions made by firefighters, such as a decrease in amount they get paid for their unused sick days once they retire. The City also says the pay increase is out of line with what other public sector workers are getting in Toronto. Yet, the arbitrators and the firefighters paid little attention to those arguments. In fact, they said the City’s recent announcement of surplus is clear proof that the money is there and the City should start handing it out. Let’s step back a minute and look at that surplus. The City recently announced that it will have a $248-million surplus from 2012 – a significant turnaround from the more than $700 million deficit it originally forecast. But much of that surplus is from one-time events that may not happen again – meaning pay raises that use that surplus as negotiating tactic could eventually impose a major cost on the City and, subsequently, taxpayers. For example, the TTC saved $24 million due to a pullback in the price natural gas, diesel and electricity needed to run its vehicles. The City saved another $22 million from a one-time payment regarding a dispute over third party signs. The land transfer tax threw in another unexpected $56 million. Yet, ironically, many of the other savings came from departments across the City failing to fill vacant positions and cutting back on salaries. The Toronto Police saved more than $15 million, while the Parks, Forestry and Recreation division cut back on $7.5 million, largely from a paring back on salaries and other benefits. The City’s water department, garbage services and parking agency, meanwhile, all cut back on salaries and benefits – moves that added to the surplus. In the upside-down world of government wages, cutbacks in salaries and benefits from some agencies were used as tactic in raising the pay of other public sector workers. All told, one public sector – in this case the firefighters – is receiving a massive pay hike while other workers are having their pay and benefits cut. The public, who bears the ultimate brunt of these pay hikes, will likely see the services provided to them diminished, while the amount of money they hand over to the city in taxes will increase. It’s good to be a firefighter.